Will Movers Move my Pool Chemicals? Cleaning Supplies? Alcohol? Food? 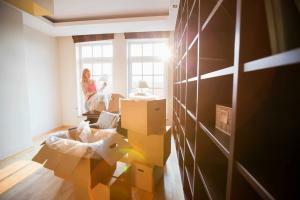 If you are planning a residential move, understanding what items movers will not move ahead of time will help avoid confusion and anguish on moving day. We can all agree that moving your family and household is exciting, but it can also be overwhelming and stressful. You want your move to be safe, calm and hassle free. Whether you are packing your belongings yourself or hiring a professional moving company to pack your possessions, there are some items that movers cannot move. From hazardous chemicals to perishables there are some items that are too dangerous, flammable, explosive or corrosive to be transported. What Types of Items are Considered Hazardous? If in doubt, play it safe and properly dispose of the material prior to your move. Will Movers Move My Plants? Most movers will not move potted plants. Some states regulate the transport of certain plants, among them are Florida, California and Arizona. Additionally, plants typically die in transit due to prolonged periods of heat or cold. Your professional mover understands the regulations and can provide guidance. If your mover won’t move your potted plants, you can transport them yourself or leave them behind with friends or family. What about items in the pantry? Anything that is opened is considered perishable and will not be movable. Non-perishable items can be transported. Will Movers Move my Lawn Equipment? My Generator? Your lawn mower or generator is welcome in the truck, the gasoline and oil in the tank is not. The gas and oil will need to be drained from your mower, generator, power tool or small engine item prior to loading. The gasoline and oil can generate an accidental explosion and create fumes that are a hazard to the moving crew. Moving can be complicated and nerve-racking, don’t make a mistake that will lead to a relocation nightmare on moving day! Whether you are moving locally or long distance, moving is a stressful process. There is no reason to add to it! Understanding what items movers will not move ahead of time save time, hassle, stress and confusion on moving day. We understand that moving can be a stressful event for a family. Don’t call just any mover when it comes to your possessions, call the best mover in Fort Myers, Naples, Cape Coral, Port Charlotte and vicinity, Frank and Sons Moving and Storage. We will custom tailor your move to fit your needs, guide you through your move and eliminate some of your stress.